On October 13, 500+ influencers gathered in an industrial warehouse in DTLA to celebrate the uprising of #InfluencerLed marketing, initiated by the beta launch of the new highly anticipated tech platform from XOMAD. An experiential haunted walk-through showcased zombie madmen and made a statement about the end of the madmen era of scripted marketing and the uprising of #InfluencerLed marketing. From the invite list, to live art, special effects makeup demonstration, music, food vendors, and cocktail menu, every detail of the event was curated by influencers and embodied XOMAD’s commitment to influencer creativity and authenticity. Influencers tagged brands they organically want to work with, and displayed them on an interactive art piece and call-to-action called the tree of creative intention. 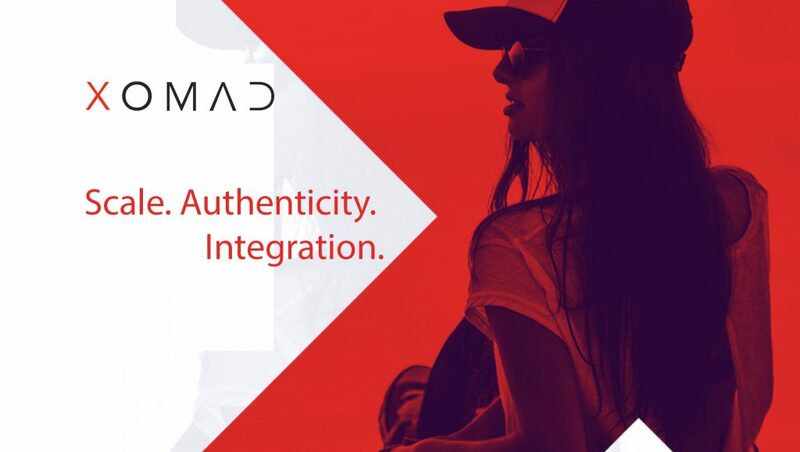 The new XOMAD platform empowers influencers to take control of influencer marketing and be true creatives, in addition to delivering complete analytics, audience demographics, and automated campaign tracking. Influencers can collaborate to design unique campaign ideas that are natural to their channels, and that their followers naturally engage with. With this new model, brands become the curators, and can take advantage of the creativity of influencers. The self-service platform eliminates the need for a middleman and gives both influencers and brands of all sizes the opportunity to activate authentic influencer campaigns that generate high ROI. Since 2010, XOMAD has paired major brands with trusted influencers, optimized to drive purchase behavior and lasting brand advocacy. And now, their new tech platform is turning the industry on its head, bringing in-depth analytics, audience demographics, and the power of authentic #InfluencerLed marketing to the hands of every brand and business. Staying true to their roots, their platform allows influencers to collaborate and be the true creatives, pitching brands organic campaign ideas that keep influencer marketing authentic and impactful. XOMAD is laying scripted mad men content to rest and leading the uprising of #InfluencerLed marketing.